The SWTOR official website has seen some new posts this past week. On Thursday, Feb. 10th, there was a new Developer Blog posted. According to the dev posts, it was written by Courtney Woods. The blog was a short encounter between Darth Marr and his apprentice Darth Lachris. Soon into the story you find out that it occurs sometime before Darth Lachris is sent to Balmorra. The short, but well written piece is about the relationship or friction between a Master on their apprentice within the Sith. 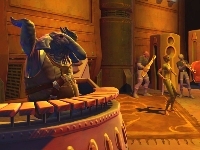 The writing paints a unique struggle and “test.” Darth Marr appears as focused and unshakeable in the blog as he appears in the game. He utilizes his mind like a great chess master; always remaining several moves ahead. Marr has planned and calculated every move. However, the cool steely warrior does not waste an opportunity to further the training of his apprentice. If you have wanted to get a better understand into Darth Marr, I would suggest reading the latest blog. Did you find the story living up to what you envisioned from a battle with Darth Marr? Let us know your thoughts about the story in the comment section below. Along with a new dev blog and write up about Update 3.1, BioWare also had a small article talking about the next Community Cantina event. The event will be coming to the city of Boston, Massachusetts, March 7th, 2015. Hard to believe we are talking about plans for March already, but time keeps moving. The event at Boston should be a good one. How many of you are planning to attend? If you are going to go to the Boston Community Cantina, let us know and also make sure to head to the Facebook page and RSVP. It is not necessary to RSVP, according to the article, but it never hurts to plan ahead. Below are the location details found on the blog from the official SWTOR website. The last major update for SWTOR was back in 2014. Okay, I know bad joke, but yet it has been almost two months since Update 3.0: Shadow of Revan was introduced. Tuesday, February 10th, Update 3.1: Conflict on Rishi is scheduled to be added to the live game. The two major things happening with this patch, one, Season 4 of Ranked PVP begins and two, the addition of Hardmode versions for Blood Hunt and Battle for Rishi. There will also be another Cartel Pack added to the game, which will contain new armors, weapons, decorations etc. Personally, I am looking forward to the Hardmode versions for the Flashpoints. Although, I can see how a couple fights could become pretty intense. The fight with the two Mandalorians comes to mind. What are you looking forward to seeing when Update 3.1 goes live this upcoming Tuesday? Tell us in the comment section below. Another week of reading various SWTOR articles and I found another interesting member of the community. 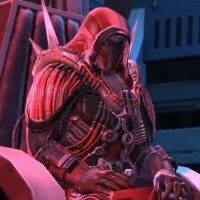 This week a look at SWTOR Economics, a blog about, you guessed it…the economy in SWTOR. Actually, it a lot more in depth than that, imagine taking real world economic principles and applying them to an MMO. That is exactly what the blog’s writer, Andrew, does. I have to admit, the idea of economics is not exactly thrilling. That said, if you want to insure you are not constantly losing money crafting or better yet, maximizing your profit margin, (See already using professional terms), this is the blog to bookmark. Andrew does an amazing job of breaking down a topic. The article about cost per unit is a good example. The idea of this article was to show exactly the time required to gather certain materials, specifically grade 11. I always focused on the Rich Yield missions, because that by definition would give me the best success for getting the allusive grade 11 “purple” materials. However, Andrews shows through numbers how it is best to not overlook the Bountiful Yield missions. There is no way I am able to do this blog justice for the amount of information it has. The best thing I can do is suggest you head over to the SWTOR Economics blog and soak up all the knowledge you can. YouTube user Sidney Alice is the source for this week’s music video. The Sith warrior with the same name is front and center in this music video. A majority of the cut-scenes take place on Balmorra, ironically show Darth Lachris who happens to appear in the Darth Marr developer blog. The video scenes and gameplay are the foreground for the Lady Gaga song “Applause.” I’m not sure, but I don’t think the Sith warrior, Sidney-Alice, waits for your applause, but see for yourself. Make sure to leave your thoughts for this video in the comment section below or on the video creator’s YouTube channel.